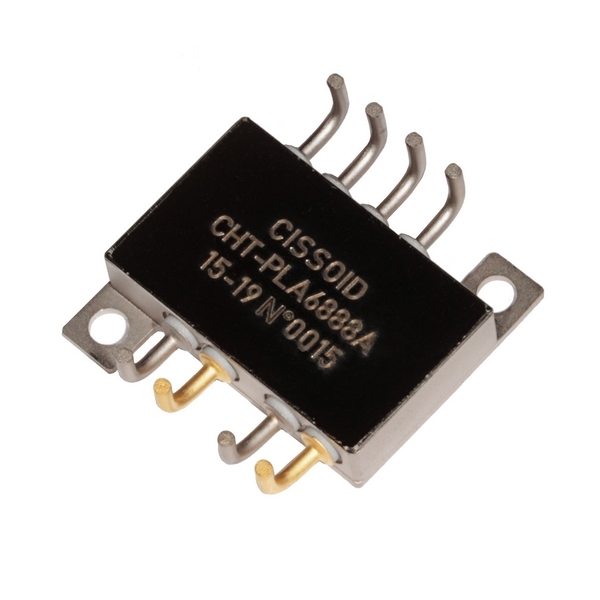 CHT-PLUTO-C1230 is a high-temperature 1200V/30A Buck or Boost Module, i.e. a module including one Silicon Carbide (SiC) MOSFET and one SiC Schottky Diode, independent from each other. It is suitable to implement high-efficiency Buck (step-down) or Boost (step-up) DC-DC converters in high temperature environments. This product is guaranteed for normal operation on the full range -55°C to +210°C (Tj). Each device has a breakdown voltage in excess of 1200V and is capable of switching current up to 30A. The SiC MOSFET has an On-resistance of 20mΩ at 25°C and 60mΩ at 210°C at VGS=20V. The SiC Schottky Diode has a forward voltage of 1.35V at 30A.